Findlay Jr. Tynelle Gumb, buried the field on her first attempt to earn her first Great Lakes Intercollegiate Athletics Conference Indoor Championships Weight Throw title on Saturday by cracking the 70-foot barrier for the first time, while Clemson freshman Lakeisha “Mimi” Warner, shattered her own 800m record in the Atlantic Coast Conference Championships. For Gumbs, the conference’s top seed, she had the opportunity of being the last thrower stepping into the ring. 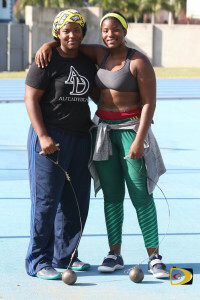 In her first and only only legal throw of the competition, she muscled an effort that reached a personal best of 21.45m (70’4½”), improving on the 69’ 11½” she threw two weeks ago for a BVI Indoor National Record. Twin sister Trevia was third with a throw of 19.09m (62’7½”). 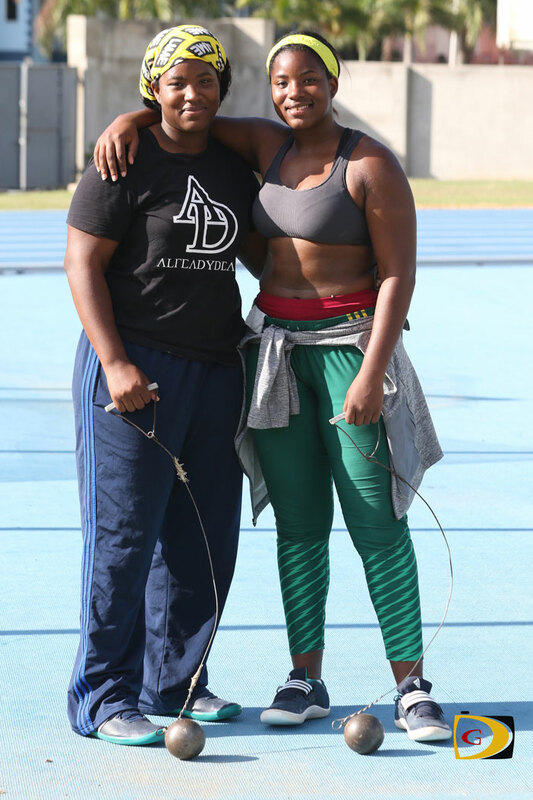 In the Shot Put on Sunday, Trevia bested Tynelle for the first time this season, with a throw of 13.78m (45’2½”) to place sixth, while Tynelle was ninth with an effort of 13.32m (43’08¼”). Warner, who ran the second fastest 800m by a BVI athlete in or outdoors In her ACC Conference Championships debut in South Bend, Indiana, recorded a time of 2 minutes, 07.25 seconds to place second in her heat and advanced to her first conference final, settled for eight in the final in 2:09.87. Warner was coming off helping the Distance Medley Relay to a second place finish in 11 minutes, 02.68 seconds, the second best time in Clemson history. She recorded a 2:05 split. Albany freshman Jonel Lacey had a fifth place finish in the 400m at the American East Conference Indoor Championships in Boston, with a time of 56.67 seconds. She ran 56.89 for second in her heat to advance. Lacey led off the second placed finishing 1600m relay that was timed in 3 minutes, 47.79 seconds. Albany won the title after amassing 212 points. College of the Sequoias freshman Tarika “Tinkerbell” Moses, won the DeAnza Open 400m in Cupertino, Calif., after circling the oval in 55.00 seconds. At the Lake Brantley Invitation an in Florida, Rikkoi Bratwaithe, representing IMG Academy, won the 100 and 200m in 10.77 seconds and 21.77 seconds respectively, the latter being a personal best. Virgin Gorda’s Britney Peters, a Football goal keeper, improved her year-old Javelin Throw National Record of 41.70m(136’9¾”) with a throw of 42.08m, (138’0¾”) during Saturday’s Johnny Hassan Relays.